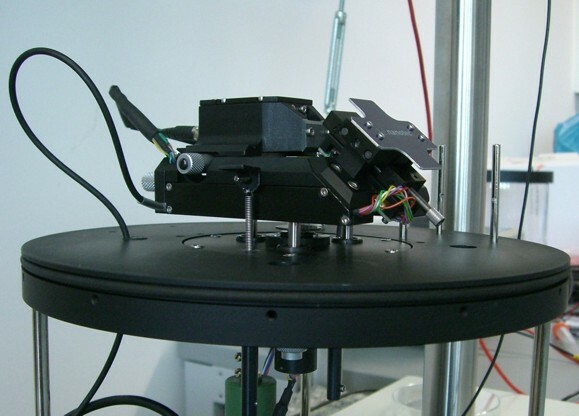 An Asylum Research MFP-3Dtm mounted on top of a lab-made inverted optical microscope. We use this instrument when we also need optical access to our sample. Because the piezo scanners can be operated in closed loop the accuracy for height and stiffness measurements is optimal. The optical microscope can be operated both in brightfield and in total internal reflection fluorescence (TIRF) mode. The AFM is mounted in an acoustic enclosure that is equipped with an automatic temperature control to minimize thermal drift. Our second AFM is a Nanotec Electrónica Cervantes. Because of its very compact design is offers atomic resolution and scan withs speeds of up to 1 frame per second. We use this instrument to obtain the highest resolution scans of single proteins and to study dynamic samples. 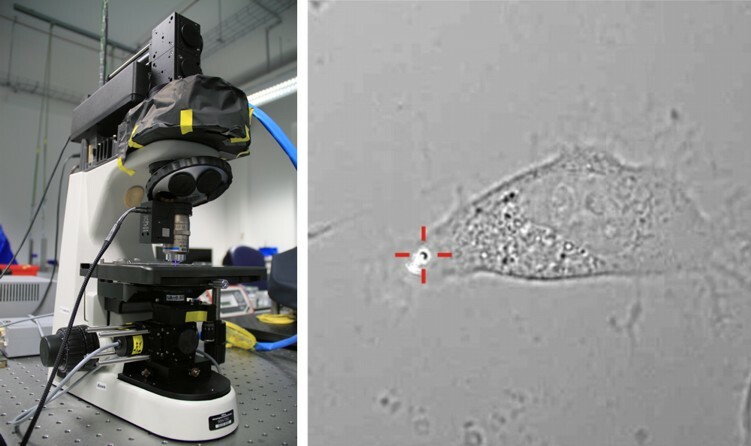 Our vertical optical trap is built around an upright optical fluorescence microscope. The traps uses a 300 mW 980 nm trapping laser and can exert forces of up to 100 pN. The instrument is optimized to exert and detect forces in vertical direction (so perpendicular to the microscope coverslip, like in AFM). Compared to AFM a laser trap has the advantage that it can exert and measure much lower forces, down to sub-pN. This is advantageous to measure mechanical properties of very soft samples such as cells. 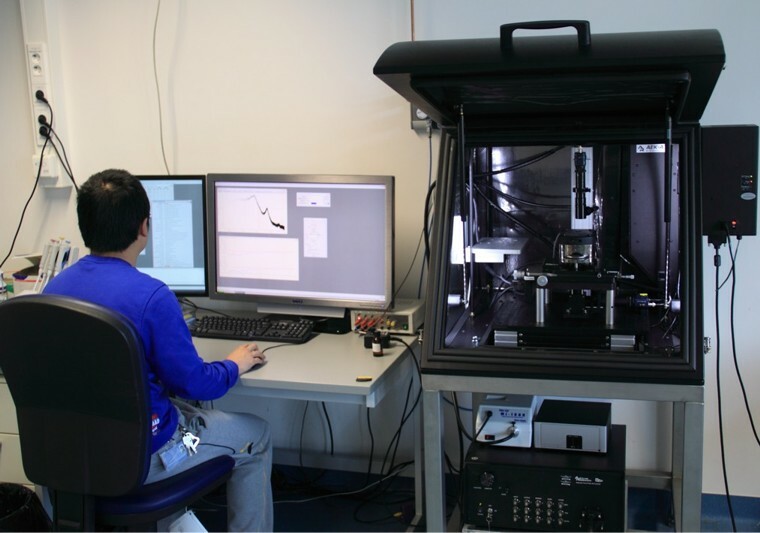 In addition to the combined TIRF-AFM we also use several stand-alone optical microscopes, including a TIRF microscope that can run with a 405, 488, 515 or 532 nm excitation diode laser and is combined with a cooled EM-CCD to facilitate single molecule detection at frame rates up to 500 s-1. For the modeling of our mechanical deformation experiments we use the Comsol Multipysics® package. With our models we test the effects of the shape of our sample, the probe-sample contact mechanics, but also the effects of heterogeneities of the used material.